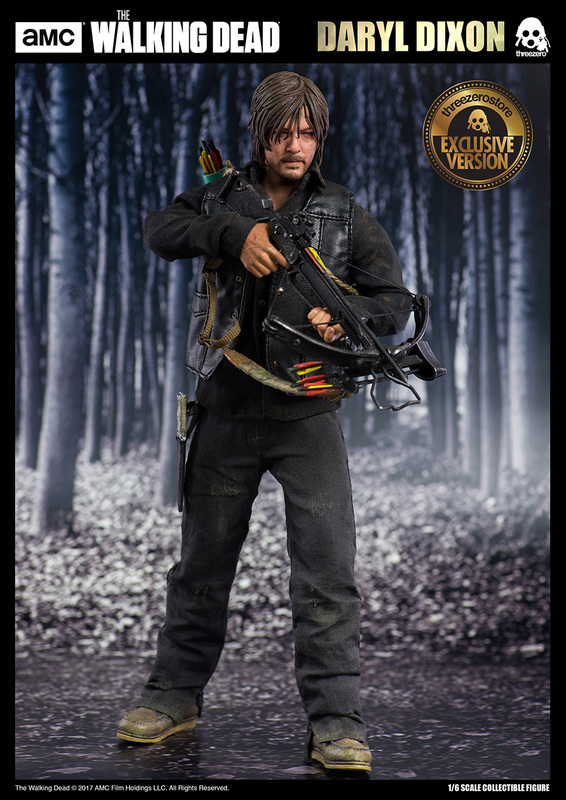 AMC The Walking Dead 1/6th scale Daryl Dixon collectible figure is available for pre-order at Price: 168USD / 1310HKD with Worldwide shipping included in the price. 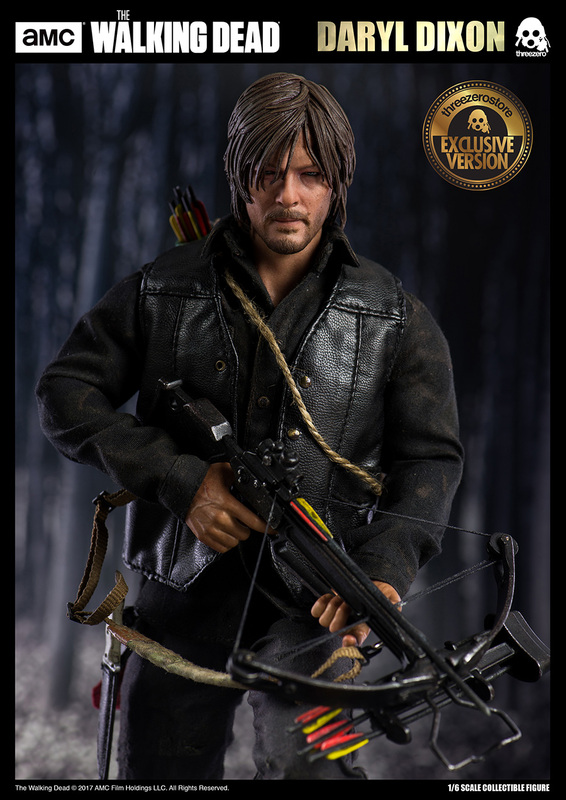 In addition we have threezero Official Website exclusive, which comes with Long sleeve black shirt and Quiver with arrows. Price: 180USD / 1400HKD with Worldwide shipping included in the price. All Daryl Dixon collectible figures purchased at our online store will be coming with Free The Walking Dead T-Shirt. 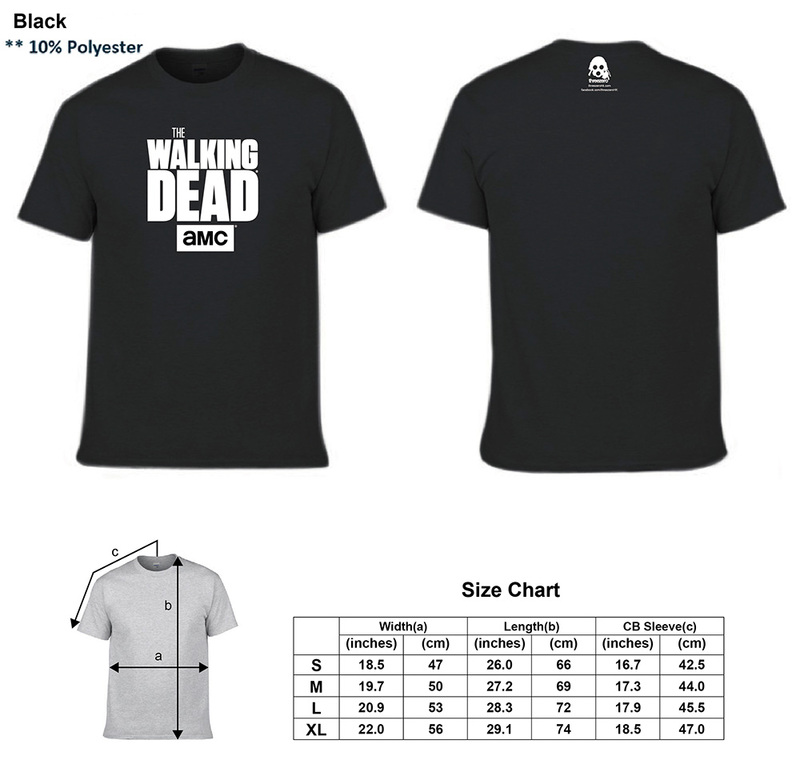 Please choose your preferred size during the purchase. Daryl Dixon collectible figure stands approximately 12”(~30cm) tall, it’s articulated and highly detailed collectible, featuring realistic likeness of Daryl Dixon as portrayed by extremely talented Norman Reedus in the critically acclaimed “The Walking Dead” television series. 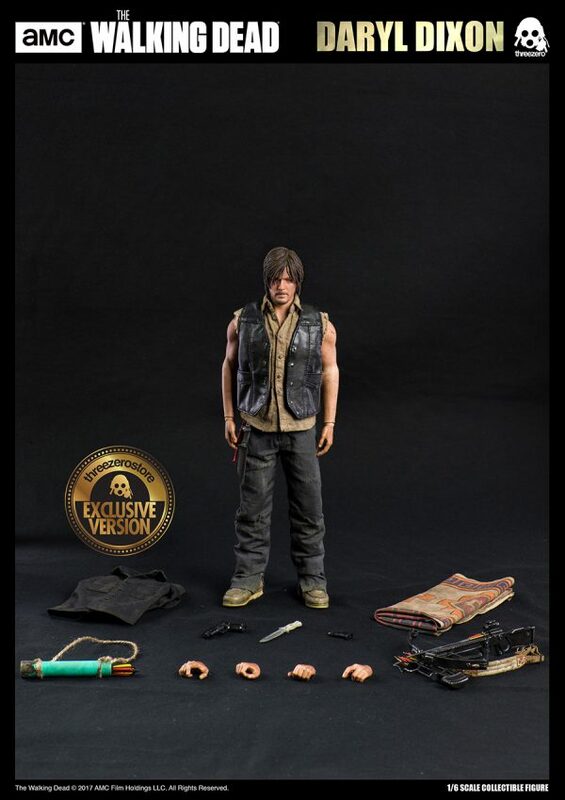 Collectible figure comes with Tailored Weathered Clothing; Faux-leather Vest; Sleeveless Shirt, Poncho and features soft PVC Dermis on the Arms. 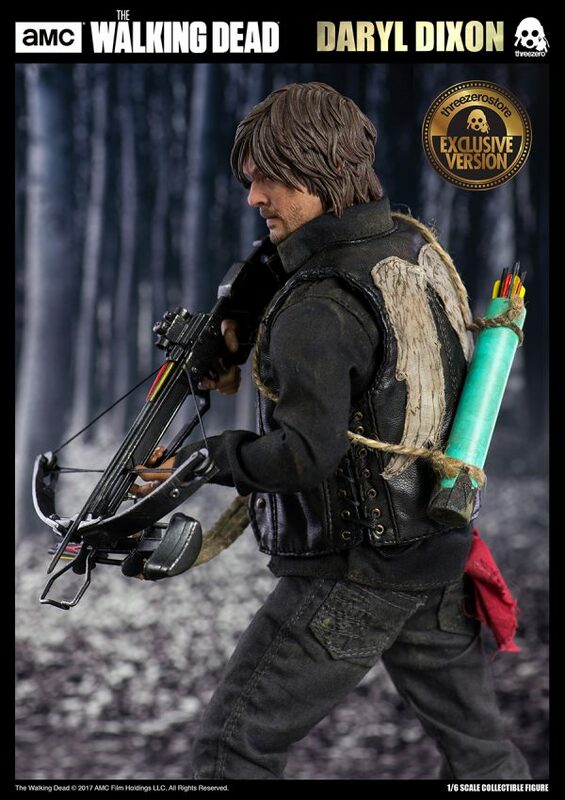 Crossbow, Pistol with Detachable Magazine and Knife are included with the figure along with multiple Exchangeable Hands. One pair of Gripped Hands for holding Pistol and Crossbow.